When used in conjunction with our other chiropractic therapies, exercise is a fantastic way to mobilize your body and relieve pain. When you are prescribed exercise therapy by Dr. Droege at Esquire Orthopedic Rehabilitation and Sports Medicine, all prescriptions are monitored by physicians only. Not only does chiropractic exercise therapy improve your musculoskeletal function it enhances your daily activity level. 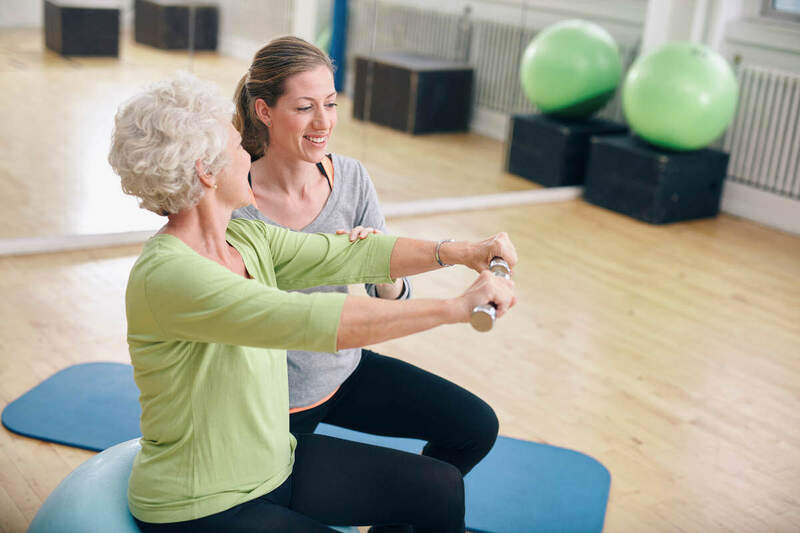 When you are looking at painful injuries that have been caused by a car accident, work related accident, or a sports incident, a rehabilitation center cannot ignore the importance of exercise therapy. Our staff will take into consideration the physical limitations that your injury has caused, and personalize your exercise therapy in a way that will work best at easing your pain. It is that personalization that is so important in exercise therapy for pain, and that is exactly where Esquire excels. We make sure that no aspect of your pain is overlooked and that you are assigned a program that has been hand chosen based on your capabilities. The last thing on your mind when dealing with the pain of a car accident is going to be exercise, but our experience has taught us that this is often exactly what you need. Parts of your body that were immobilized from an accident, such as the shoulder, appreciate the movements that exercise entails. By slowly incorporating arm and neck movements the pain caused by the shoulder injury will dissipate and mobility will be restored. Restoring flexibility after a work related injury is a top priority at Esquire. One of the many methods we employ is a detailed exercise therapy aimed at rebuilding strength to your injured area. Exercise therapy can be simple hand and finger flexing for carpal tunnel syndrome patients, or more advanced movements that increase the mobility in the back after a slip and fall accident at work. Whatever the cause of your work related pain, the physiotherapist working with you at Esquire is going to make sure that the exercises assigned to you are aimed at your source of pain. Athletes of all ages can experience pain relief from our specialized exercise therapy for sports injuries. Dr. Droege has seen injury occur from every sport imaginable, whether caused by repetition like knee injuries in runners, to accidents on the football field that cause shoulder pain. Exercise therapy used as part of the sport injury rehabilitation program is focused on restoring both strength and endurance to the injured area. Therapy also includes the development of a wellness plan that incorporates the pre and post sport stretching exercises needed to prevent future injuries. Esquire is skilled at bother Prehab, strengthening and increasing the flexibility of an area prior to surgery, and rehab, increasing the flexibility and strengthening an area post surgery. Call us at (314) 644-0855 and making your first appointment with Dr. Droege and the pain management staff of Esquire.